Thread: Replacement software for NOF? It sure ain't Mobirise, X5, or Coffee cup! I have come to the conclusion for myself that nothing at this point replaces NOF. Heresy I say? No! If I want a responsive site (at this point I don't), I will just make a lower res copy of my big res site. How long can it take to build a 10 to 15 page site to low res? A half a day? 1 day? Maybe 2 at the most? NOF still does everything I want it to do and if it doesn't I have other software to make special pages to call and fix any short comings of NOF. WYSIWYG web builder does some things better than NOF. These other software builders are nothing more than a never ending bunch of templates that you change to your liking. They could have a thousand templates and I don't think they will have the exact right one any body wants. If you can get close, that's it. Where are the tools like pix boxes, text boxes, all the other tools? Mobirise has more things in the websites that are built that don't work right than I ever seen before. I never saw so many people on their forums with an unbelievable number of problems with their software. Stuff just doesn't seem to work right. And what about the 100's of links in the software back to Mobirise servers????? Mobirise is not free. It's a sham. What they really want users to do is buy their whole package of extensions for about $180 every year. They are really running a subscription but won't admit it. And that over priced HTML editor they sell to novices is like giving a 3 year old a loaded gun to play with. When did web site builders go back to wanting to change HTML????? Coffee cup software is better software but is some what expensive and they are template based. I don't like templates very much. Yea, I already said that. And do you like working with object programming with classes, constructors, wrappers and containers? You have to be kidding me if people off the street know what this stuff really is. There is a lot of other software companies out there and most are subscription and template based. I have been buying WYSIWYG web builder and most of their upgrades and it is probably as close to NOF as it gets. But it has some very good capabilities that NOF doesn't have. So I use it when I need to. So every body can choose what they like to use to make websites but I am getting damn tired of people bad mouthing NOF. If you don't like NOF, just go away. We who like NOF are tired of you. Last edited by rick6811; 1 Week Ago at 11:49 AM. Coffee Cup Site Designer DOES give you the choice of using templates but you can customise them to your heart's content. But you don't have to use them - you can create a site from scratch just as I always did with NoF. Sure no software I've come across has the Site management features and MasterBorder facility that NoF does (unfortunately) but for sheer design flexibility Site Designer is excellent. The more I look at other web sites making software, the more I want to keep using NOF. Expensive code editors required by software vendors seem to be a contradiction to their claims users don't need to know any html or php coding to use their software. And their claims that their software is WYSIWYG are a joke. More claims that their software is free are even more stupid. What I am also finding is that some software is much better than others. No software is perfect but software that works like Mobirise proves that this software is so far from even acceptable it's not even worth trying to use in my opinion. A big percentage of this software doesn't seem to work right and it's virtually required to have their expensive and subscribed code editor to make the software usable. My take on Mobirise software is that it is just plain junk. There is so much better software out there in the market. What is even more strange is that the users of that software for the most part continue to use it even though they really complain about on the company's forum site big time? I can't believe Mobirise doesn't delete the comments on that site since they are so negative, it's really bad for business. 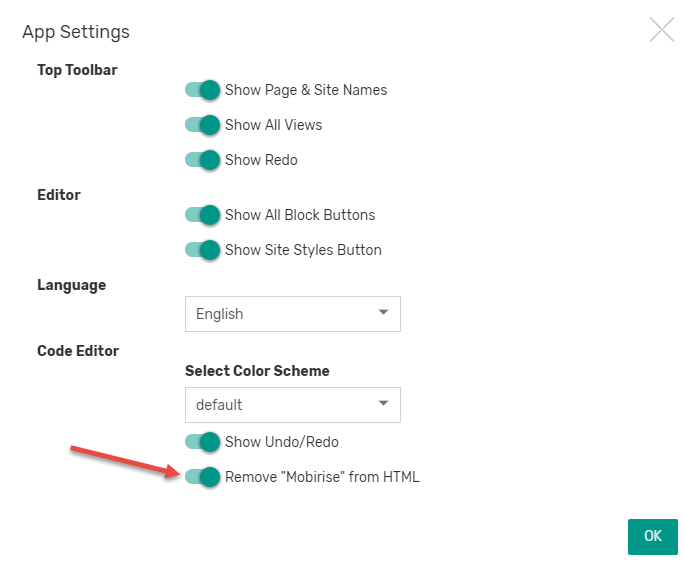 I am also aware that some users of Mobirise don't know how to use the software any better than some who come here for help when it's obvious they are lacking in understanding how the software works. To those in that category, when ever something goes wrong it's the software that's at fault every time. If these people would double, triple check on their work and consult the help files, they would learn the software. What it comes down to is that people make choices and it's their business what they spend their time and money on. It's just hard to understand why people like bad products that they even say are bad but they keep using the stuff anyway???? Why? I will say it again, Mobirise is the worst software package I have ever seen. Last edited by rick6811; 5 Days Ago at 06:44 PM. "Replacement software for NOF? It sure ain't Mobirise, X5, or Coffee cup!" and predesigned Templates are very important for me because I save a lot of time. And yes you must invest there some time to to really use them. I f.e. use X5 (do not know the two others). It is a very good tool offering lots of features. It even includes text boxes, pix boxes and so on (boxes are called objects). I think we're all rather sad that NoF has not been able to be developed to keep up with what is needed in a mult-device, multi-resolution environment. I spent many, many years with NoF and really needed nothing else in that time. But, fact is, we now have to be able to produce sites that scale from a smartphone to a 60" smart TV and NoF simply couldn't be developed to provide that facility. Any NOF user should check out WYSIWYG Web Builder 14 if you haven't. The software is $60, for past users it sells for 1/2 price when a new major version comes out, it is responsive capable, it works a lot like NOF, has excellent forms generation with NO programming, there are some cheap and some free extensions you can download, has built in ftp client for uploads, and it even looks a lot like NOF. I have been building Pay Pal order forms and they can be made so simply it is amazing. Paste a PP button down, use the menu for each button to add prices, billing method, and options like color, size, or any other things you want visible when the PP page opens. The last time I used PP buttons from PP it was a horrible experience. You can try WB 14 free for 30 days and it's fully function able. You can make working web sites during that 30 day period. And I don't have any financial interest in the company. This is a Pay Pal page I made with 10 buttons which is called by the main NOF site. I made this page in about 10 minutes. Take a look if you want. It's very simple which is the way I make order pages. All business, no fluff. Last edited by rick6811; 1 Day Ago at 01:22 AM. I also switched to WYSIWIG Web Builder about two years ago with the demise of NOF and found the transition very easy as rick says there are a lot of similarities to NOF. It also sells under the name 90 Sec Web Builder. I rarely contribute on this site any longer (I occasionally browse through to see if its still going to be honest). I moved to WYSIWIG Web Builder back in in very early 2016 - and probably should have done it sooner (having taken up NOF in 2011). I have no axe to grind with NOF other than the way they 'drifted off' while still sending the marketing emails for upgrades and attracting new clients - indeed they enabled me to build (for our own business and a couple of friends) some very well SEOd sites which contributed much to our business (still feeding me today). BUT ... the day of NOF (with c 4 years of non development) is long since over. The switch to WYSIWYG Web Builder (and I looked at many options then and now) is not difficult for a NOF user. The WYSIWIG WB support (either through them or 90 Second Webuilder) is stunningly good at all levels. The 'master border', much admired by many NOF users is very much 'old hat' in web design terms and fading into memory, but would be easily simulated in WYSIWYG WB using a combination of grids,blocks and master objects. While a little use of relevant .htaccess would enable a generally acceptable 'responsive' solution (moving between different layouts or sites depending upon the viewing device - why NOF didn't explain and promote this, along with some simple inbuilt functions to ease and support it, I will never understand) there are many other shortcomings. NOF cannot begin to cope (happy to the corrected if I have missed something) the modern preference for parallax sites with floating bits (personally I am not a great fan) and many other modern design features. NOF's forms are limited and dreadful, it writes old format code and it is missing a zillion new features assumed by most to be 'standard' in current web design. For some, NOF may have an ongoing role - but for most, no way I am afraid. Last edited by Senior Paper Monitor; 17 Hours Ago at 07:33 PM.